STEP A. 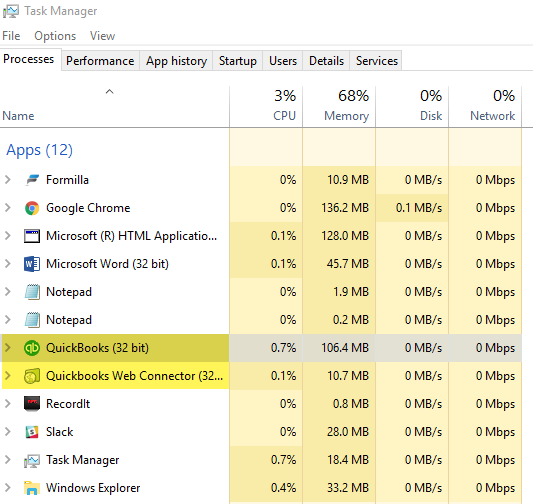 End all background processes related to QuickBooks using Task Manager. 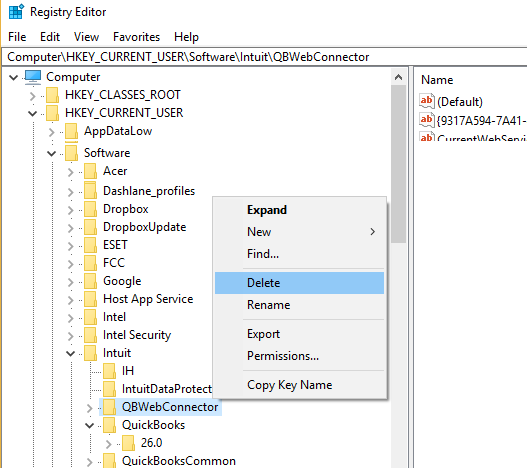 Expand the tree in this order [HKEY_CURRENT_USERSoftwareIntuitQBWebConnector]. 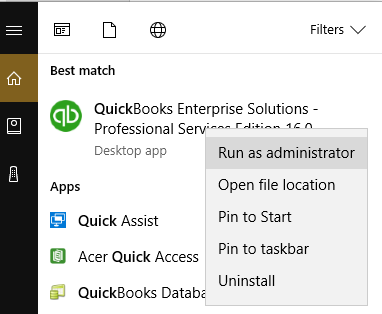 In Windows, search for Web Connector, right click, check “Run as administrator”. 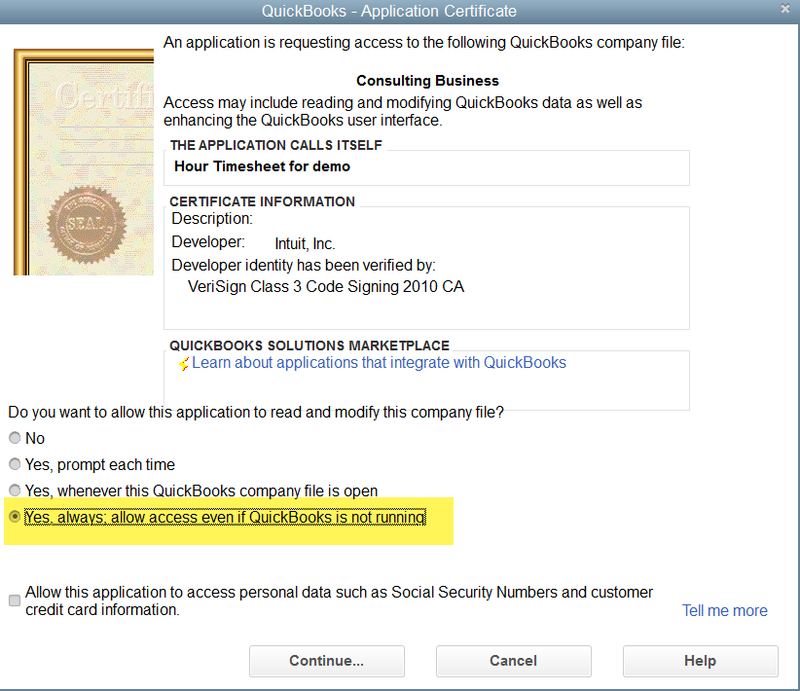 Step E. Run the HTS QuickBooks Integration file (double click on desktop icon) from #4 above. 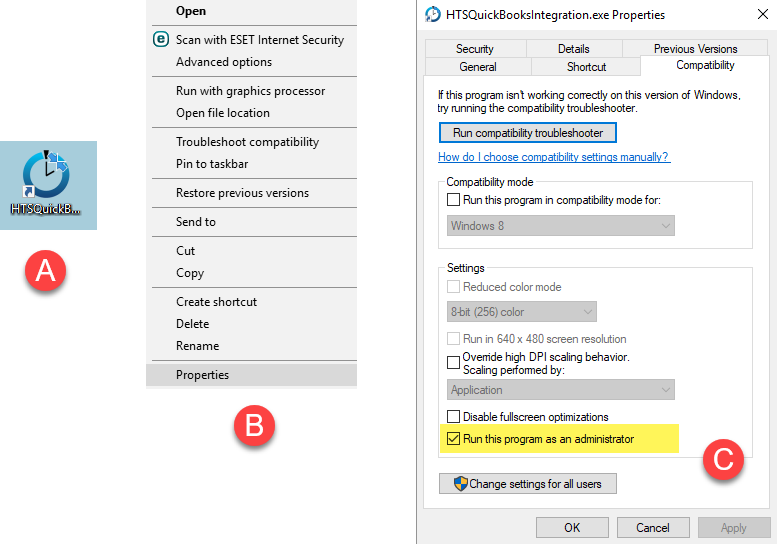 When you see the screenshot below, make sure you change the selected option to the one highlighted below. 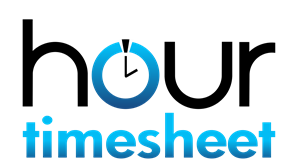 Step F. From your browser, login to your account of Hour Timesheet (URL used in signup process.